Leonardo comes back to Florence, where everything began more than five centuries ago. We meet him at Palazzo Vecchio, in the wonderful Sala del Giglio (the “room of the lily”), represented by 12 sheets from the legendary Codex Atlanticus. They are the only ones, from 1119 that make up the collection of writings, drawings, and projects, where Leonardo talks about Florence, the city that welcomed him, educated him, and made him famous. The deep and authentic bond with the city can be read in the words of the artist-scientist, when he tells of studies and episodes of everyday life, such as when he writes “Sandro, don't tell me why those things in the second row look smaller than the ones in the third”—a criticism to his friend Botticelli and the meager results of his studies on perspective. The writings are also testament to Leonardo's association with the Compagnia di San Luca, where he studied anatomy on human corpses, to his passion and his studies about flying—inspired by the “dream of the kite” and which led to the experiments at Mount Ceceri—, and to many other elements that showcase the personality and the temperament of the great Genius. The exhibition ends with a mysterious painting, probably by Leonardo's favorite student Salaì: the bust of Christ the Redeemer. The painting represents the bond and the artistic heritage that Leonardo was able to create and give to the people in his circle. 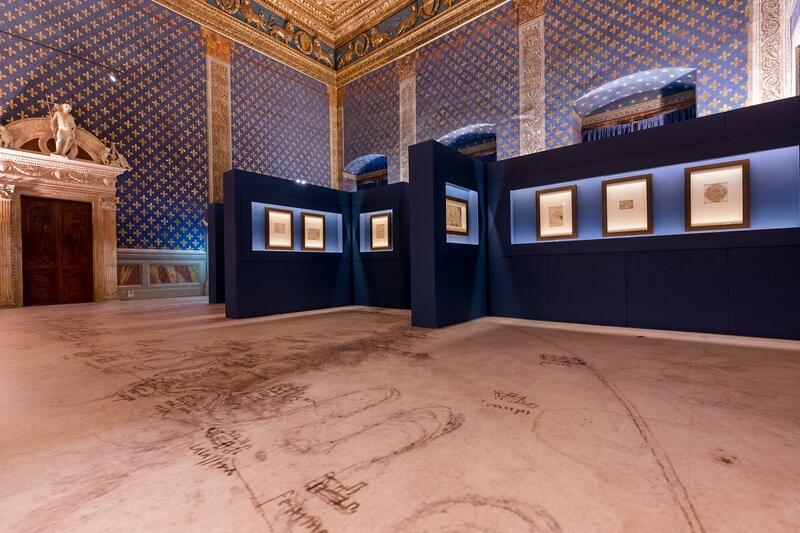 You have until June 24th to admire the Codex Atlanticus in Florence. After that, it will go back to Milan, where it is stored at the Ambrosiana Library.